It would be better that you can include all the attachments in your design. Some pictures are not high resolution. If you can't process them, just discard. 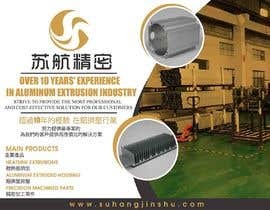 We are an aluminum extrusion products manufacturer. We want to exhibit our products at Hannover Messe and give the visitors an impression that we are professional. 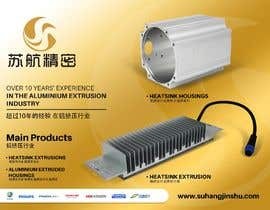 Our products can be used in lighting, solar energy, medical equipment, general engineering, automotive, etc. 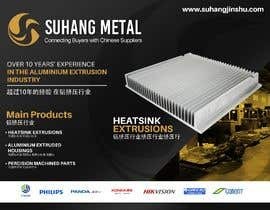 You can visit our online shop at http://suhangmetal.en.made-in-china.com. 1. 3050mm(width)*2300mm(height). We need two images for this size. 2. 2520mm(width)*2300mm(height). We need one image for this size. The values of CMYK SHOULD NOT BE LOWER THAN 15. This three pictures should be different, but with same style. We will print them out to hang on the three walls of our booth. I have attached the booth concept, please kindly let me know which one is on the middle, which one is on the left and which one is on the right. 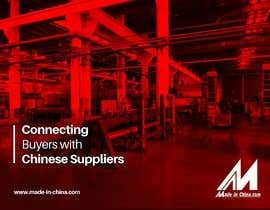 Hello, employer, in Slogan.txt file, Chinese text is not coming well. Please send the text in .pdf file format. Hi Kalidas, I have updated the PDF file for your reference. Tks for your contact. Hi Muhammad, I have included the files you may need. Tks for your contact.